Movguru is a leading archivist of relocation companies who understand the needs of people in packing and moving. Relocation companies in Qatar suggested by Movguru, supports people wanting transmit of households, office furniture and equipment, plant and machineries and industrial goods. List of relocation companies, which Movguru comprises, offers genuine rates and customer service to the customers as extra bonanza. In today’s time, relocation companies in Doha Qatar play a major role in shifting valuable possessions. Without these relocation companies, it’s almost impossible to relocate in a hassle-free manner. Being the leading archivist of relocation companies we make sure that every customer should get their relocation partner as per their requirement and budget. With a warm sole of aim, we serve our customers in manner of delighting them. As this is an iconic relocation management firm, we intend to help people for all their relocation related requirements to indefinite destinations. Very flexible and helpful crew and management. At very good rate! Highly recommended. Overall - a good service!! Thanks. Everything went very well. Thank you. The entire process of dismantling, packing, handling, moving and reassembling was Excellent. Hats off to the guys who really did the job. The customer handling by the administration staff was excellent as well. Excellent.. That was quick. Thanks for referring 2 professional movers & packers. Two of my colleagues have used services of one recommended movers & packers. Thank you very much for your assistance and it was really fast and quick service they came on time and packed everything and took it from my home, it was good experience from Qatar and I hope they will deliver my stuff safe and secure to Perth at my home. I have recommended your service to my other friends too. You guys are the best thanks for helping me out. Your service was of great help. Had seen a few properties will finalize in a few days. Many thanks, it was a great service and help. I am really thankful to team Movguru as they have really taken the stress out of my life. The professional team of Movguru really helped me in finding the right packers and mover for my car. I am satisfied with the service rendered by Movguru while shifting my belongings. I really appreciate Movguru Ltd. for their excellent services. This is one place that really helped me sort all my moving issues. With their help, I found the best relocation company and within my budget. I had to relocate my car and was struggling to find the right movers. But the professionals at Movguru helped me find the perfect mover. Great job guys! The entire team at Movguru are very humble and helpful. They knew exactly what I wanted and now my entire move is done perfectly without a glitch. Thanks Movguru! Who knew relocating to an international destination could be so easy? All thanks to the diligent team at Movguru. Would definitely refer them to everyone I know. The only thing that bothered me the most while relocating to my new home in Qatar was safety and comfort of my pet. 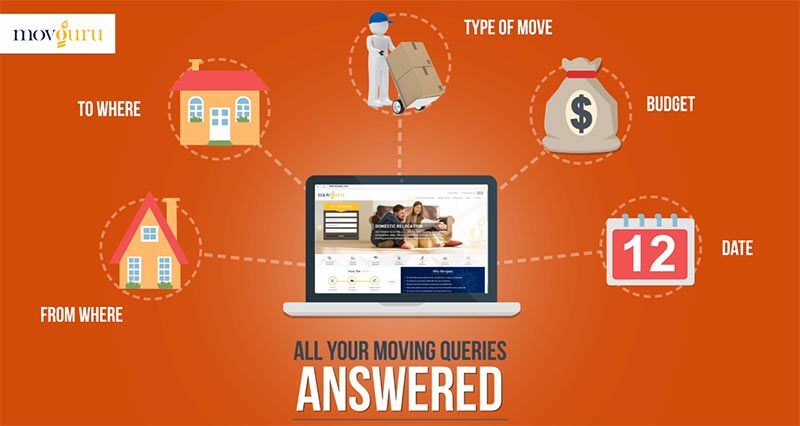 Thankfully with the help of Movguru, I got connected to the best movers who set my worries aside. Thanks team Movguru! One of the prized possessions is my Nissan TEANA. I was very sceptical about getting my car relocated through someone I wasn’t sure of. But thanks to Movguru, I found the perfect relocation company who relocated my car without a single default. I would definitely recommend them for automobile relocation. Before I settled into my new home in Qatar, I had to halt my entire belongings in a safe storage that I could rely on. Since the country was new, I wasn’t sure who to choose. This is when I logged onto Movguru and they are the one who helped me find the best and reliable storage service. Thank You Movguru! I am very thankful to Movguru for helping me find the best relocation company within my budget who helped me with my domestic relocation. I had gone through many companies the price seemed very high. Movguru found the company that best suited my budget without any compromise in the standard of service. Once again… Thank You Movguru! After deciding on a professional moving company you want to hire for your moving travelogue, that is when the real face of moving reality comes to play. The calculated expenditure vs.
Moving house is a very costly and time-consuming effort, no second thought to it. If you have enough time, you can cut down the moving costs by accomplishing most (or all) of the moving tasks by yourself. We only work with licensed and certified professional relocation companies which are having many years of experience. You fill your enquiry and get about four quotes from the most reputable companies. Our services are 100% free and non-obligatory. You can also check out our extensive relocation guides and all of our other services. Most importantly, we wish you a happy and enjoyable move! At Movguru, we offer a uniquely immersive experience to help you prepare for your move in the best way possible. It all starts with a first class moving education. Our site contains a comprehensive library of moving tips and advice that will help get you prepared for your move. The more you know about moving, the smarter your moving decisions will be. That's what we're all about here at Movguru - helping our customers make a smarter move. Speaking of making smart decisions, choosing a reliable mover is priority #1 when planning a move. In order to set you up for success, we go through a rigorous screening process before we add a moving company or moving service to our worldwide network. Part of this process includes checking each mover's complaint history as well as their licensing and insurance status. We will never connect you to rogue companies, or to international movers with low quality standards. So welcome to Movguru - the premier online platform to find a mover, learn about moving, save money, and begin your journey to completing a smarter move. 21st century is a time wherein relocating due to newer and brighter job opportunities is a common variable. And in this process of moving, Movguru not only suggests best relocation companies in Qatar but also strive to bring in an overall positive atmosphere to the surroundings that await us. There are times when relocations doesn’t go as planned and this is the time when you require leading archivist of relocation companies in Doha, Qatar – Movguru, who assures peace of mind while making the biggest moves. Being a prominent archivist of moving companies, the company provides one-stop resolution to pick the best relocation partner as per your moving requirement. Shifting to a new place might create trouble for you and your family, if you will not opt for a reliable moving company. In order to eliminate this uncertain scenario and provide aspirants a hassle-free moving experience, Movguru suggests best relocation companies with free moving quotes so that people who want to shift across the globe can relocate in a hassle-free manner. We at Movguru, resolve each one your doubts that you pursue such as authentication of relocation companies, best prices and numerous other queries. Relocation companies associated with Movguru are certified and holds years of experience in the field of relocation that assure aspirants for a blissful relocation. With vast consciousness and wide information, registered relocation companies will take care of your concerns related to shifting process as their own. Our keen and knowledgeable team will serve you with pleasing spirit and mind. Therefore, if you are looking for Relocation Company in Qatar then Movguru can help you out by suggesting best Relocation Company in Doha, Qatar.